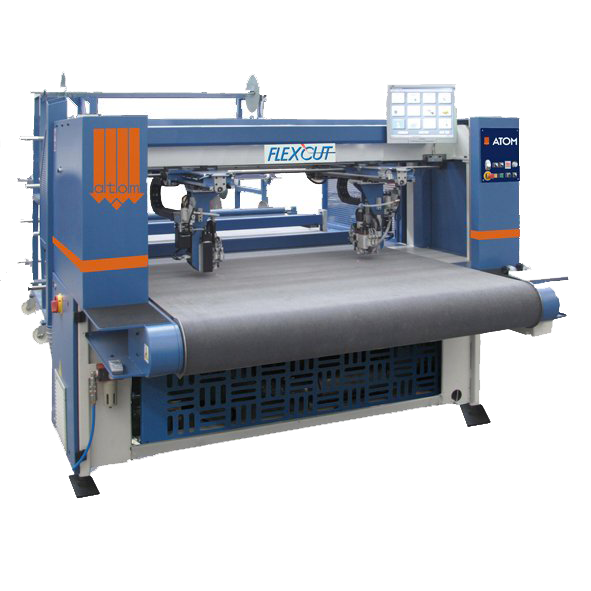 Knife Cutting Systems : Flexcut Roll - Cutting machines - Atom S.p.A.
Flexcut Roll is the Atom knife cutting table specific for textiles, even in multiple layers. The practical roll-holder and the exclusive “pinch and grab” system ensure the perfect handling of the material to the cutting area, while the two cutting heads with multiple tools allow to quickly and precisely process textiles. The system is equipped with a 1650 mm conveyor belt, perfectly sized to process textile rolls, and a nesting software that optimize the material yields.